I know you’re probably asking, what is neem oil? This natural pesticide that comes from seeds of the neem tree is not as mainstream as some of the other well-known holistic health methods. It’s packed with nutrients that provide a wide array of benefits for your entire family. Without wasting time, let’s jump right into the many benefits of neem oil. Neem oil is an exceptional alternative to traditional bug repellent because it is entirely safe to use and won’t irritate the skin. (3) When combined with coconut oil and applied to exposed areas of the body you receive protection for up to 12 hours. Research says that neem oil can even protect you from malaria in endemic territories. Neem oil is incredibly powerful for your hair and scalp. Similar to the help it provides for your skin, that also applies to your scalp. The essential fatty acids penetrate the skin and heal symptoms of dryness that cause dandruff and flaking. Neem oil is capable of preventing graying and loss of hair as well. Weekly conditioning with the oil provides your hair follicles with the nutrients they need to promote hair growth and overall health. In some instances, this natural pesticide has even been used for the treatment of lice. These two skin conditions are incurable but entirely treatable using neem oil. The neem oil benefits for eczema and psoriasis apply to its ability to reduce inflammation and irritation which will keep the skin from swelling and breaking. Neem has the compounds Nimbidin and Nimbin which have potent anti-inflammatory skills (4). Because of the moisturizing capabilities of neem oil, it provides fast relief to uncomfortable irritation and allows you to carry on without scratching and itching. The Environmental Protection Agency has stated that neem oil combined with other approved agents, is one of the most effective treatments for bed bugs. (6) It is so powerful that the EPA has registered cold-pressed neem oil as the primary pesticide for use on bed bugs. You would be surprised to find out that neem oil is actually in a lot of over the counter oral care products. Neem oil aids in protection against bacteria and plaque, keeping your teeth and gums healthy. Neem oil uses do not end in humans; it is incredibly useful for protection against parasites and mites. The great thing is that it’s an entirely natural alternative to some of the synthetic products that can be toxic to your pet. For cats, neem oil is especially useful because they are always licking themselves. A low concentrated neem oil bath is the most effective way to treat pests that make their home on your cat. Let’s say; I use neem oil for everything! I started by using it as an overall skin treatment. When you combine neem oil with moringa oil and apply it to your face before bed as a skin mask, it is known to improve the appearance of fine lines and reduce wrinkles. After doing this for fourteen days, I started to see a noticeable difference in the softness of my skin, especially on my forehead. After applying a nightly face mask for two months, I saw a significant improvement in my wrinkles and under eye bags. After using neem oil on my skin, I wanted to expand my use. Currently, this is the only thing my family uses for bug repellent. In comparison to the harsh chemicals in traditional insect repellent,(8) combining neem oil with coconut oil and using it has proven to be as effective, if not better than the usual stuff. It’s also much gentler on kids and smells nice too. Lastly, I have two dogs and as most pet owners know – fleas and ticks are almost inevitable if your pets go outside. Somehow, both my dogs caught fleas and were scratching like crazy. We tried all the usual over the counter stuff like frontline with little success. We even tried using a Raid bomb on our entire house, and they ended up coming back anyway. After much frustration I read that neem oil is used for fleas and ticks, I knew I had to give it a shot. After a few regular baths with neem oil combined with the shampoo I started to notice fleas in the bath water, and after a few weeks, the fleas were entirely gone. There are several ways to use neem oil, following are three products that I recommend to try the benefits of Neem oil. This neem oil is a full organic oil that is certified by the USDA to treat a variety of ailments. You can use this for skin health to reduce wrinkles and soften skin. Restore moisture to dry skin. Fights bacterial infections that cause athlete’s foot and ringworm. Reduces redness and inflammation associated with eczema and rosacea. Fights skin bacteria and clears pores to prevent acne. Reduces dandruff by providing a moisturized and healthy scalp. Helps kill and further prevent head lice. Kills fleas and ticks on household pets. This neem oil is certified organic, vegan, and never tested on animals. It is suitable for all skin types and those with sensitive skin. This product contains neem oil for skin. It’s used to treat an array of skin problems ranging from dry skin to bug bites. This Neem-Shea Butter product is certified organic and handcrafted in small batches. In addition to neem oil, it contains other powerful skin moisturizers such as coconut oil, neem leaf, marula oil, kokum butter, and rosemary. Because of the other active ingredients in this product, it can also be efficiently used as an insect repellent when applied to exposed skin. This oil is unrefined cold-pressed neem oil. Because it is unrefined none of the essential fatty acids or other critical active ingredients have been extracted, so it is extraordinarily powerful in treating dry or sensitive skin. This neem oil is the most effective treatment for skin irritation. On bug bites and rashes. For Frizzy Hair, split ends, and unmanageable hair. For natural bug and mosquito repellent. For treatment of fleas and ticks on pets. To repel insects in organic farming. The strong earthy smell of this unrefined neem oil makes it extraordinarily powerful in repelling bugs in a variety of situations from human skin, pet skin, and organic farming. Now you know all the powerful uses of neem oil. Did you enjoy the list? Hopefully, this brings some value to you and your family. Neem oil is incredibly useful in my household for so many different things from my kids to my pets. 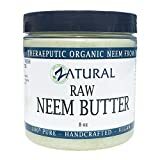 I am grateful for the chance to share this information with you because I think neem oil is severely underrated and needs to become more mainstream. In comparison to a lot of the traditionally brutal methods of treating skin disorders, bug irritations, and fungal infections – neem oil is entirely harmless and safe for the whole family. If you liked this article and felt it can be useful to other readers, please share it. Also, let me know what you think in the comments and if you are using neem oil feel free to share a testimonial, so others can see the fantastic potential of neem oil!